A little bit about my journey: first of all, my soul has guided me here and now to be with you as we unfold together. Continually unfolding from moment to moment, aligning with my soul. My inherent curiosity has led me to courageous conversations with myself and others which landed me here on Openhand's doorstep. Openhand has been challenging my programming and conditioning every step of the way. Many of life’s subconscious trials and tribulations have been brought to light during these times. I’m slowly beginning to remember who I am at a soul level. 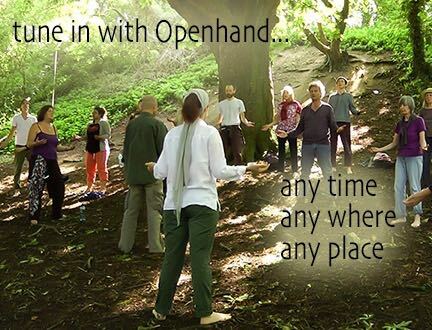 The Openhand philosophy has offered me the tools and support to continue with my natural unfolding into the unknown. I’m always reminded to go deeper and feel whatever it is that is coming up and process it out of my being. It makes room for a more aligned and authentic expression of my soul. 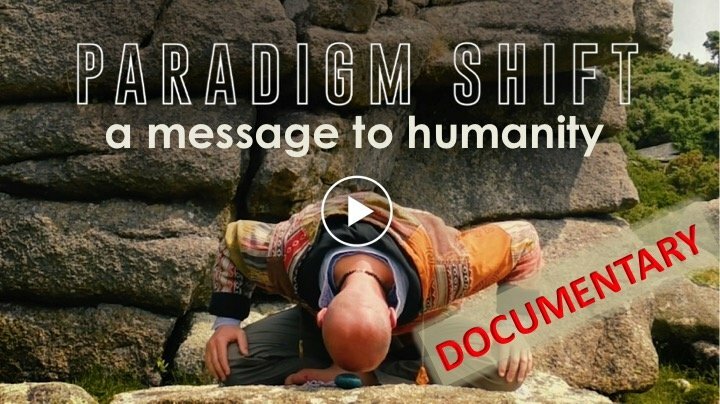 Along the journey inside, I unveiled a deep passion to work with other evolving souls along the way. I feel guided to facilitate as many souls as possible to begin this journey inward toward self-realization. I would love to hold a space and have a courageous conversation with “YOU”. The time is NOW to feel it all and come fully alive!! I currently live in Woodridge, Illinois and I offer sessions in person, by phone or via skype. I also offer ontological coaching which pairs well with the Openhand approach. Ontology is the study of our being. My fee is $75 a session 60-90 minutes. Energetically Chad is Openhand's gentle giant! He'll wrap you up in a great big loving embrace and relax you into the places you need to go. But he's also incisive, applying intuitive questioning to get to the nub of the problem. And with the awakened curiosity of a child, he'll do exactly as he says... dance you alive! Openhand is blessed to have you on board Chad. I know in the years ahead you're going to help many people. A beautiful soul shining light.... what a wonder it is to walk the path of ones soul. Knowing you are there holding space for all that comes up is a blessing indeed. Courageous conversations ignites the inner flame. I've had quite a few with Chad over the years. 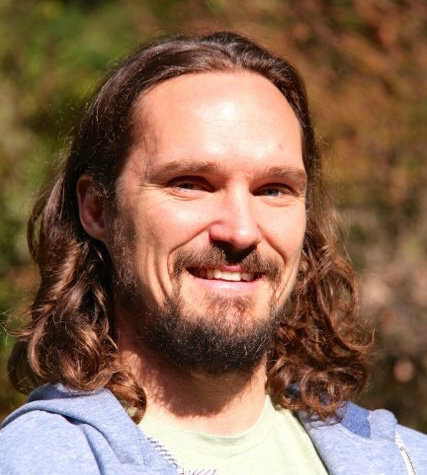 Chad, your commitment, compassion, and courage radiates out into the field. It's a vital fuel for so many souls who cross your path leading to a greater sense of self realization that just naturally arises with your unbounding presence. 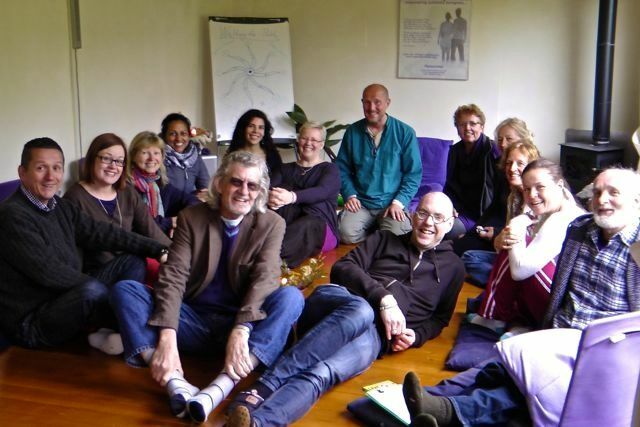 It is a great honor and privilege to join this growing network of facilitators. 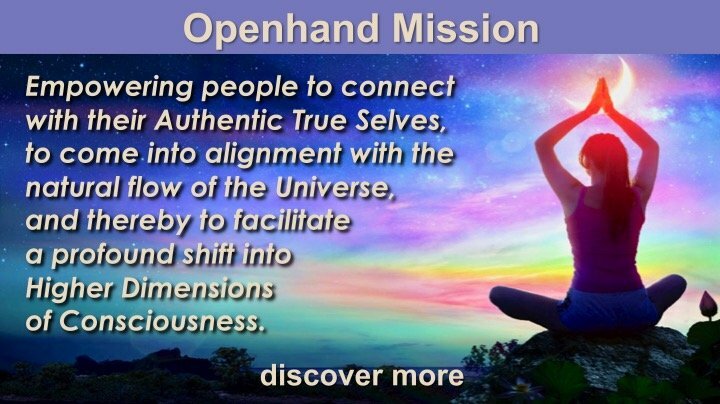 I remember when I found Openhand a few years back, everything about it resonated with me. I thought to myself this is where I need to be now and one thing lead to another. Open, thank you for all that you do! I'm excited to be here! Erica, my dear friend at it again with a beautiful articulation of words expressing and sharing your beautiful light. 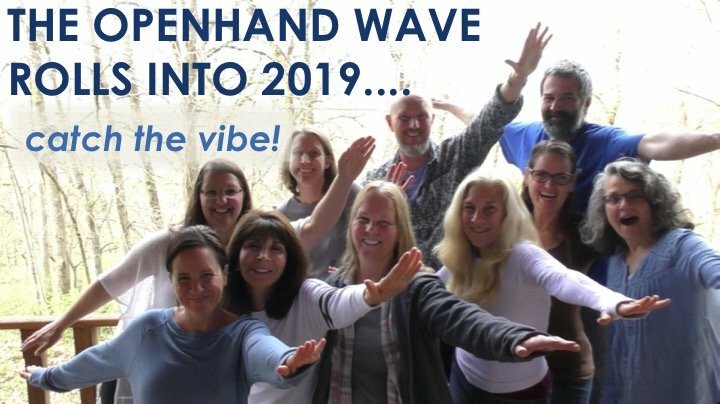 I'm grateful to have met you along the way along with all of the other amazing souls that I have connected with here at Openhand. Overall....I'm just stoked about all of this!!! It definitely feels right to be here. With love and gratitude to you all! The energy that you put forth both here and on your website is really touching. It's awesome to have connected with you and I hope we can meet in the physical some day. I truly feel that you are my energetic brother, a fellow Big Friendly Giant. I can imagine people feeling very safe with you and yet alive to the moment too, ready to open up and adventure into their selves. It's really wonderful to see you here. You are a super facilitator and an excellent coach. Your website looks awesome, there's a lovely solid and grounded feel that comes through. Those with whom you work will indeed be blessed. I just want to thank everyone for their kind words, love and support as embark on this new journey in life. I'm grateful to be here and have met all of you lovely souls.